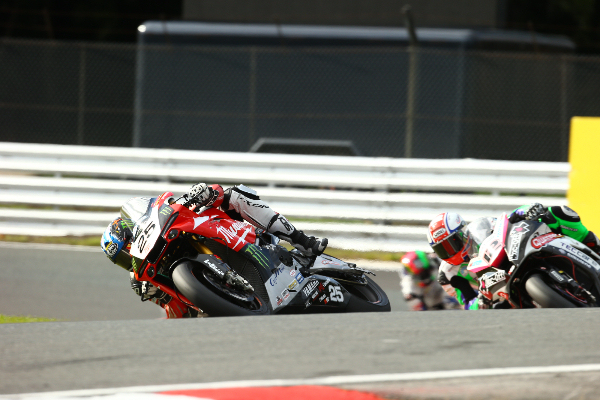 Milwaukee Yamaha’s Josh Brookes delivered a hard-charging performance in the opening MCE Insurance British Superbike Championship race at Oulton Park to carve his way through the pack from 30th on the grid to finish fourth. Brookes had been setting the pace but a technical problem forced him out of qualifying action and he was to start from the back row for the opening race. The Australian fought his way through the pack to move into the top ten by the sixth lap before climbing to fourth by the end of the 18 lap race. “The start with Jon Ingram nearly crashing in to me was the first problem, I believe I could have got a far better start if that hadn’t happened to me, more or less everything went as best it could, I made as many passes as I could, as often as I could and moved up to fourth on track.